Australia is one of the most popular travel destinations in the world. It’s known as a major backpacking, camping, road trip, and diving destination, but no matter your travel style, there is something to draw you here. The country is filled with incredible natural beauty from Uluru to the Outback, rainforests to pristine white sand beaches, and of course, the Great Barrier Reef. Sydney’s Harbor Bridge and Opera House are iconic man-made wonders, and Melbourne’s café culture will make you feel like you are in Europe. Coupled with world-class surfing, and it is no wonder people never leave. I’ve been over five times and have criss crossed it three time but, every trip, I find something new about this country to love. Use my extensive travel guide to help plan your next trip. I know you will love the country as much as I do! 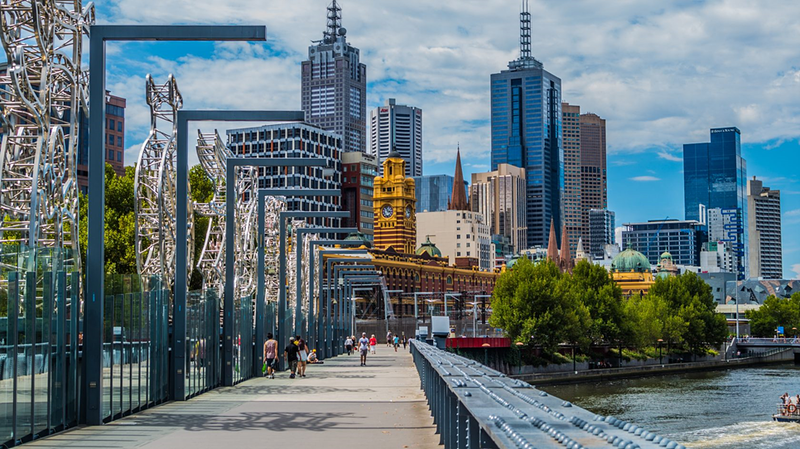 Australia’s largest city has a range of activities to keep you busy. 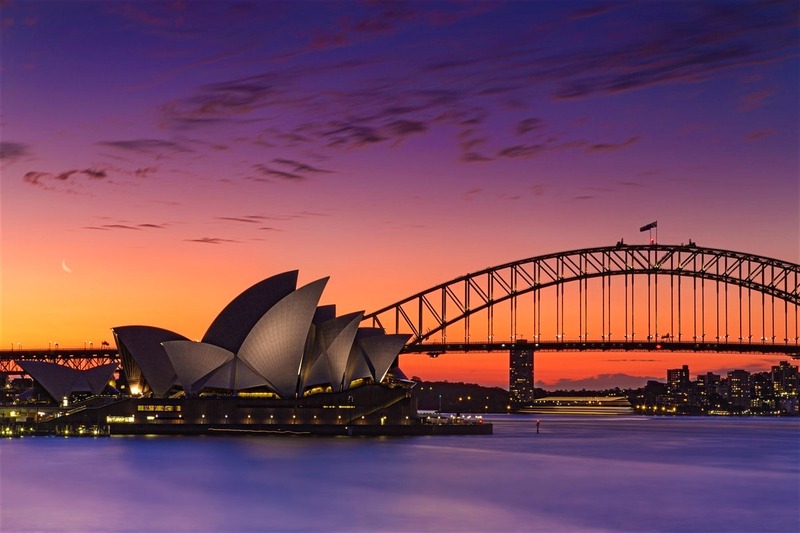 Climb the Sydney Harbor bridge, surf in Bondi Beach, party in King’s Cross, sail across the harbor, visit the Opera House, and take in world-class innovation in Darling Harbor. Sydney is a bustling big city that still has a laid back, beach vibe to it. Uluru is one of the best attractions in the country. Make sure you are there for both sunset and sunrise because both are equally as spectacular. It’s a pretty breathtaking sight considering it’s just a big rock! Make sure to visit the Aboriginal center to learn about the local population. Find your very own Nemo! 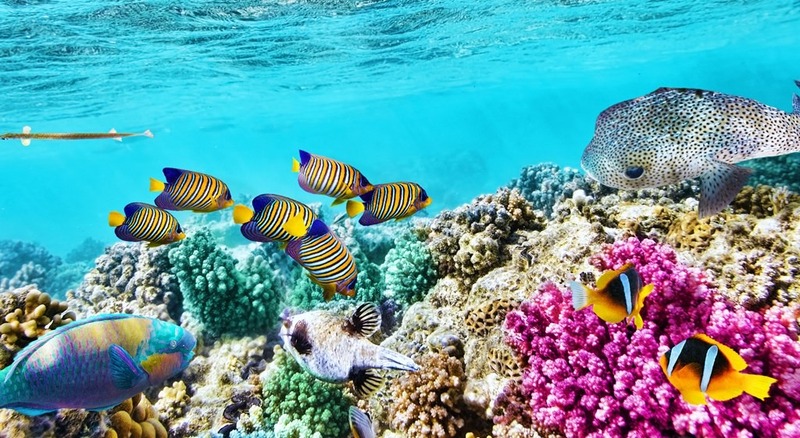 Even if you don’t dive, you can still take a boat to the reef and go snorkeling. Try to one that has a permit to visit sites further from the shore to avoid the onslaught of other boats and divers that inundate dive sites closer to shore. Trips start around 180 AUD for the day. Melbourne is much more relaxed than Sydney (and, personally, I like it more). There are more cafes and restaurants with fewer clubs, crowds, and better music. This is the place to relax by the river, walk through the gigantic city gardens, eat amazing food, enjoy the art, and party in St. Kilda. A three-day, two-night sailing trips(starting around 540 AUD) are a popular way to see some of the most beautiful sand islands in the world. 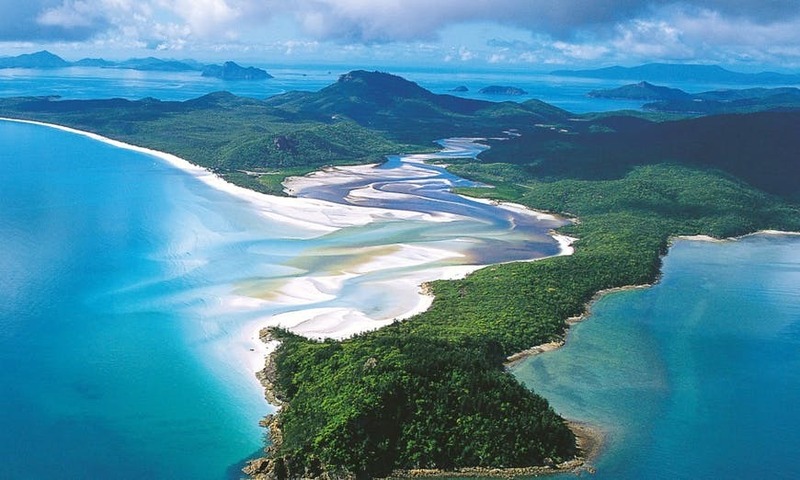 Whitehaven beach on a clear day is mesmerizing. A few of the islands have resorts if you want to go on your own and stay longer in paradise. Accommodation – Hostels start at 20 AUD per night for a dorm room, though they get as high as 40 in the big coastal cities. Private rooms with a double bed and a shared bathroom in hostels range between 80-100 AUD per night. For budget hotels, you are looking to spend at least around 75-95 AUD for a double room, private bathroom, TV, and breakfast. Larger, chain hotels cost closer to 200 AUD. Camping costs between 15-30 AUD per night (cheaper if you bring your own tent, more expensive if you’re parking an RV).Food – Food isn’t cheap in Australia! Most decent restaurant entrees cost at least 20 AUD . Originally, I thought I was doing something wrong spending so much, but as many of my Aussie friends told me, “we just get screwed here.” If you cook your meals, expect to pay 100 AUD per week for groceries that will include pasta, vegetables, chicken, and other basic foodstuffs. Grab and go places cost around 8-10 AUD for sandwiches. Fast food is around 15 AUD for a meal (burger, fries, soda). The best value food are the Asian and Indian restaurants where you can get a really filling meal for under $10 AUD! Transportation – Local city trains and buses cost 3-4 AUD. The easiest way to get around the country is via Greyhound. Passes begin at 145 AUD and go all the way to 3,000 AUD. There are also backpacker buses like the Oz Experience that have multi-city passes starting at 535 AUD (though I don’t like the Oz Experience and wouldn’t recommend it). The most popular and cheapest way to travel is to drive yourself. Campervan rentals start at 60 AUD per day and can also double as places to sleep. Flying can be very expensive due to limited competition, especially when going from coast to coast. I generally avoid flying in Australia unless I am pressed for time or there is a sale. Activities – Multi-day activities and tours are expensive, generally costing 400-540 AUD. Day trips will cost about 135-230 AUD. For example, a one-day trip to the Great Barrier Reef can cost 230 AUD while a two-night sailing trip around the Whitsunday Islands can cost upwards of 540 AUD. 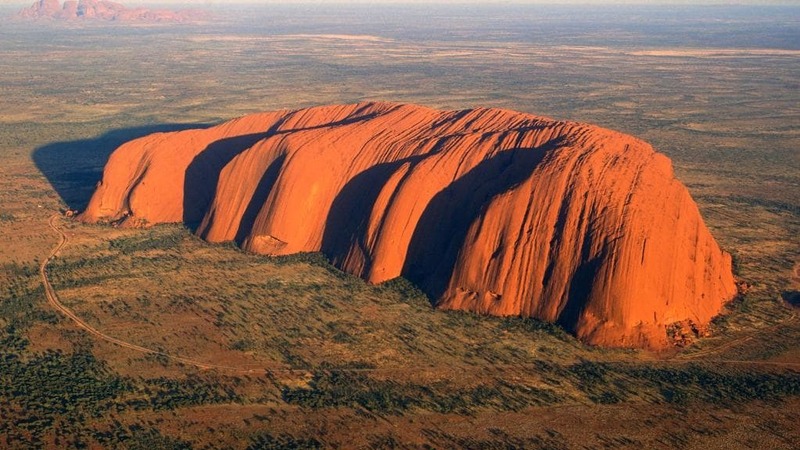 A three-day trip to Uluru from Alice Springs is around 480 AUD. Walking tours are around 50 AUD and day trips to wine regions are between 150-200 AUD. Get a phone plan – The telephone company Telstra has really improved their service and offers great phone packages that have great coverage throughout the country. Their call/text rates aren’t that high either, so the credit will last you awhile. Vodafone has amazing deals (sometimes better) too but they have more limited coverage around the country. Drink goon (box wine) – Goon is infamous on the Australian backpacker hostel trail. This cheap box of wine is the best way to drink, get a buzz, and save a lot of money at the same time. 4 liters typically costs 13 AUD (compared to a six pack of beer for the same price). Drink this before you go out and save on spending money at the bar (where it is about 10 AUD per drink). Cook often – Again, eating out is not cheap. The best way to reduce your costs is to cook as many meals as possible. ALDI is the cheapest supermarket in the country, followed by Coles and then Woolworths (though sometimes you don’t get a choice at which place you can shop it! Some small towns only have one!). Car share – Australia is a big country that can be expensive to get around. If you are traveling with friends, it’s smart to buy a used car or campervan (or rent a new one from one of the many rental companies in the country) and split the costs of gas. You can also hitch a ride with other travelers using sites like Gumtree, Jayride, or a hostel message board. Book tours as a package – This country has a lot of exciting activities and tours that eat into any budget. Booking activities together through a hostel or tour agency will get you a discount and save you hundreds of dollars as a repeat customer. Seek out free Internet – The internet in Australia is painfully slow and expensive (just ask any Australian how they feel about this), but libraries and McDonalds have free WiFi that you can use. Work for your room – Many hostels offer travelers the opportunity to work for their accommodation. In exchange for a few hours a day of cleaning, you get a free bed to sleep in. Commitments vary but most hostels ask that you stay for at least a week. WWOOF it! – WWOOFing is a program that allows you to work on organic farms in exchange for free room and board. Everyone I’ve met who stays in the country long term does it for at least one month. You don’t even need to know anything about farming – you’re mostly picking fruit the whole time! It’s a great way to reduce your expenses and make an impact on the local environment. Couchsurf – Accommodation in Australia can be quite pricey. If you plan ahead, you can usually find really nice Couchsurfing hosts all throughout the country. This way, you not only have a place to stay but you’ll have a local host that can tell you the best places to go and things to see. Fill up your water bottle – The tap water is clean and safe to drink in Australia. Cutting the 2-3 AUD for each bottle of water will reduce your daily spending. Not buying bottles of water also good environmental impact too!